The central figure in the riveting true-crime podcast S-Town is the kind of man who keeps dangerous chemicals in his home. As an antique clock restorer and amateur chemist, John B. McLemore has to have these poisons on hand to do his job. Unfortunately, under the extremely difficult circumstances he faced over the course of his life, one of these compounds presented a tempting way out. In Episode 2, S-Town’s host Brian Reed reveals that McLemore commits suicide by drinking potassium cyanide. This highly toxic chemical is used in the process of electroplating, which McLemore memorably used, during the taping of the podcast, to plate a dime with gold. As he drank the potassium cyanide, he was on the phone with a friend, who described the experience to Reed. On the phone, McLemore said that the poisonous compound “burned” and screamed in agony as it went down. Animal studies have revealed that death by cyanide poisoning is, indeed, extremely painful. Experiments on mice have shown that exposure to cyanide — through any route, be it oral, nasal, or intravenous — rapidly cause difficulties in breathing, convulsions, and ultimately, asphyxiation. That’s because cyanide kills by attacking the central nervous system — the brain, spinal cord, and everything the nerves sprouting from them innervate, which include, crucially, the lungs. Cyanide is a tiny molecule, and once it dissociates from the metal it’s attached to — in McLemore’s case, that’s potassium — the first thing it does is bind to proteins in the body called metalloenzymes. Doing so throws a wrench into the metalloenzyme machinery, which is integral to the way the body uses oxygen. In particular, cyanide disrupts one protein called cytochrome c oxidase, a key component of the engine that uses oxygen to drive energy production in the body. When cytochrome c oxidase stops working, the cells are no longer able to use oxygen — and very rapidly start to die. 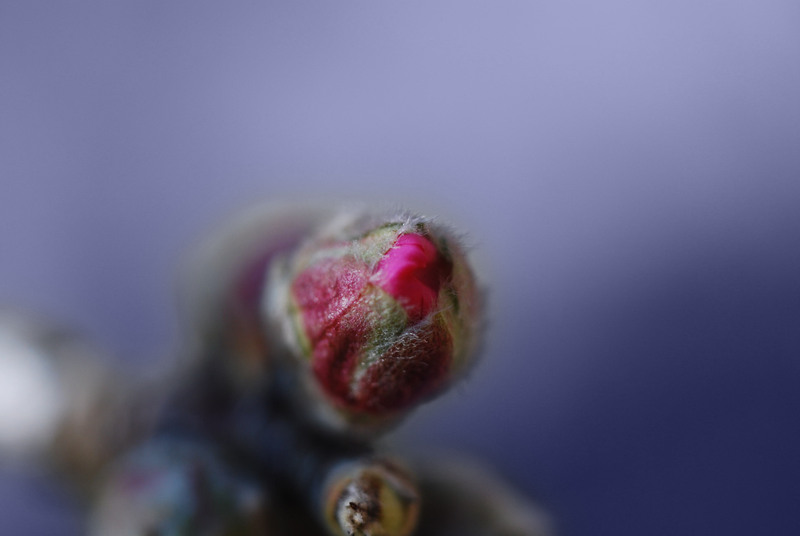 Bitter almonds, pictured here in bud form, naturally contain the poisonous compound cyanide. Because they’re so busy, the cells in the central nervous system are some of the most oxygen-hungry cells in the body, and so they’re the first to feel the effects of cyanide poisoning. As the nervous system shuts down — this would happen after taking a dose of more than 2,000 parts per million — the first thing a person feels is a sense of dryness and burning in the throat, which occurs as the cells along the airways are irritated and the body begins to hunger for air. Sometimes, after the first breath, the person yells out. Within a minute, the individual will stop breathing, gasp a few times, and then lose consciousness. Collapsed on the floor, the person’s body may start to convulse as it starts losing function. The heart may stop beating after the person stops breathing, but not always; some reports suggest it will keep beating for 3 to 4 minutes afterward. Finally, as the victim dies, their skin might turn bright red because blood, which takes on a dark red-brown hue when it’s unburdened with oxygen, maintains its intense cherry-red color when it’s unable to unload its oxygen into cells. If you got close enough to sniff the victim’s breath, you might catch a sickly-sweet whiff of bitter almond — the telltale scent of cyanide poisoning. The traumatic final phone call McLemore had with his friend was likely to have been a short one, as cyanide is as rapid-acting as it is merciless.